Google has always been continuously altering its algorithms to deliver a better local search for every user. Off late, Google had reported yet a new change to make sure that the search engine results are more relevant and local. As a part of the new update, Google has altered the method of labeling country services. The new update has been passed to make sure that the searchers are offered with results which are extremely relevant based on the location. The new algorithm has been designed to enhance the search experience of people. Apart from the recent update, Google also brought about other changes over the last few years which set an impact on the ranking of local search. For instance, the Google Venice update was one among the first changes to influence the way in which local search engine results work. The Venice update made it crucial for the businesses to dedicate the landing page for all locations they optimize and service with the best combination of keywords. The Google Pigeon update was also introduced in 2014 and the most noteworthy fact about this update is the way in which Google switched to local 3 packs as against how they previously displayed 7-10 businesses in the local pack. Since the Pigeon update, Google seemed to prefer the local directories in which customers contributed content like BBB, Yelp, Thumbtack and Advisor in local search engine results. What should you do as a marketer? The foremost step to take is to keep a close tab on your local rankings and remain aware of any such changes that are taking place. You can use Pro Rank Tracker as it is one of the best tools for tracking your ranking in local search. 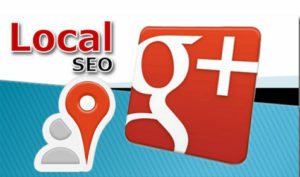 This tool can offer you with updated ranking information on map listings, Google local 3-pack and mobile search results. It also offers user-friendly form of reporting with multi-lingual support. Google has off late begun preferring the local directories and hence when you are eagerly trying to boost your local search engine ranking, it would be rather wise to ensure getting enlisted in sites like Citysearch, Yelp, Merchant Circle, BBB etc. When you get reviews, you not only enhance chances of featuring in local 3-pack but also improve your overall search engine ranking. You require making a pro-active effort to collect reviews from customers instead of sitting with the expectation of reviewing your voluntarily. So, now that you know the ways in which you can secure higher positions in local search, you shouldn’t waste any more time. Take immediate action and grab a better position.